At Blackwood Dental we care about your dental health, be it examinations, dental decay, root canals or gum problems. At your first appointment we ask you to complete our medical and dental history forms. The dentist of your choice will discuss your dental concerns and wishes. Subject to your needs, a complete examination including any necessary digital radiographs, photos or study models will be undertaken. We will discuss an ideal treatment plan for your mouth in order to achieve health and a beautiful smile. Treatment alternatives and costs will be discussed with you before the commencement of any treatment. Tooth decay is the process that results in a cavity (dental caries). It occurs when bacteria in your mouth make acids causing the demineralization of hard tissue (of enamel, dentine and cementum). If not treated, tooth decay can cause pain, infection and tooth loss. A root canal procedure attempts to save a decayed, infected or sensitive tooth. 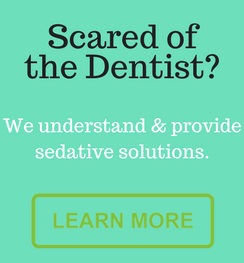 This involves removal of a dead or dying nerve from inside a tooth and filling the canals up with a permanent cement to prevent further infection. Gum or periodontal treatment is the treatment of active gum and jawbone disease in order to slow or stop its progression.